For 23 years, Richard Hoagland’s wife and kids had no idea what happened to him after he disappeared on Feb. 10, 1993. Iseler and Hoagland had an idyllic life in Indianapolis. After an earlier divorce, Hoagland thought he had found love again with Iseler. Richard Hoagland is pictured together with his second wife Linda Isler. “He was very spontaneous. He was a shaker and a roller ... he was always doing -- making deals and doing things. He was very successful,” Iseler said. “He was a lot of fun to be with." 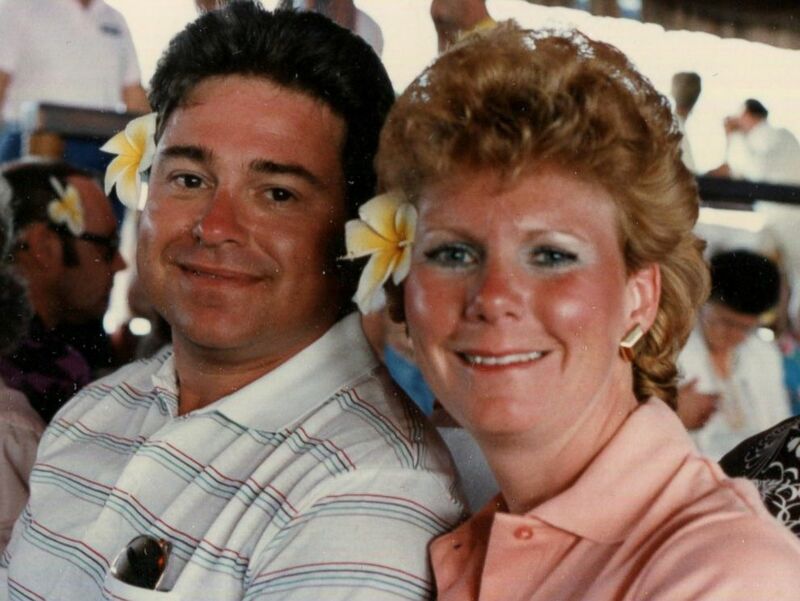 The family had a big house, a steady income and exotic vacations, but their picture-perfect relationship came to an end one day in 1993, after 11 years of marriage. Iseler said she called the hospitals in the area, but there was no trace of him ever being there. Hoagland had vanished. “[His toothbrush was] still there. He didn’t pack any clothes. It was cold. It was in February. He didn’t take a coat,” said Iseler. Hoagland hadn't even taken his passport, Iseler said. Their son Matthew was 9 years old at the time, and his brother Doug was just 6 years old. 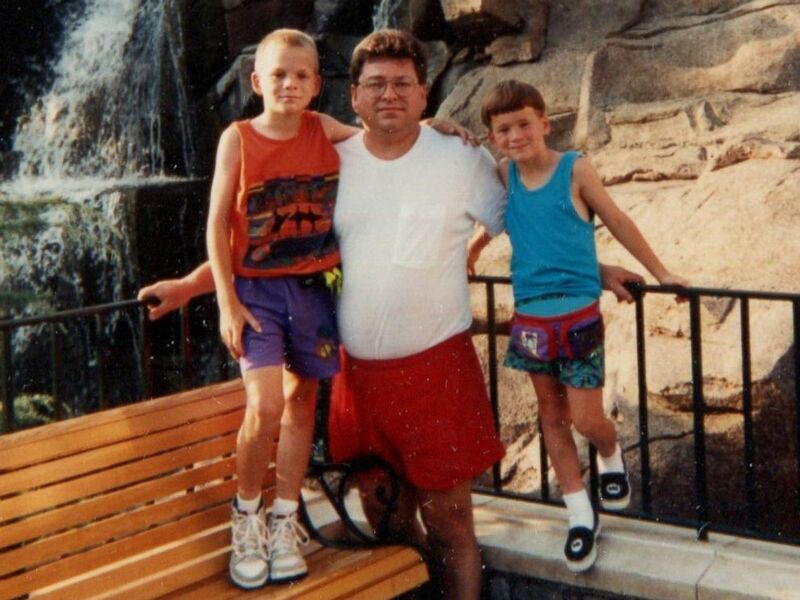 Richard Hoagland is pictured with his two sons Matthew and Doug. Authorities eventually found Richard Hoagland’s car abandoned at Indianapolis International Airport, but there was no record of a Richard Hoagland taking any flights out of the airport the day he went missing, Iseler said. That summer, his two sons both received a birthday card from their father, each containing $50. 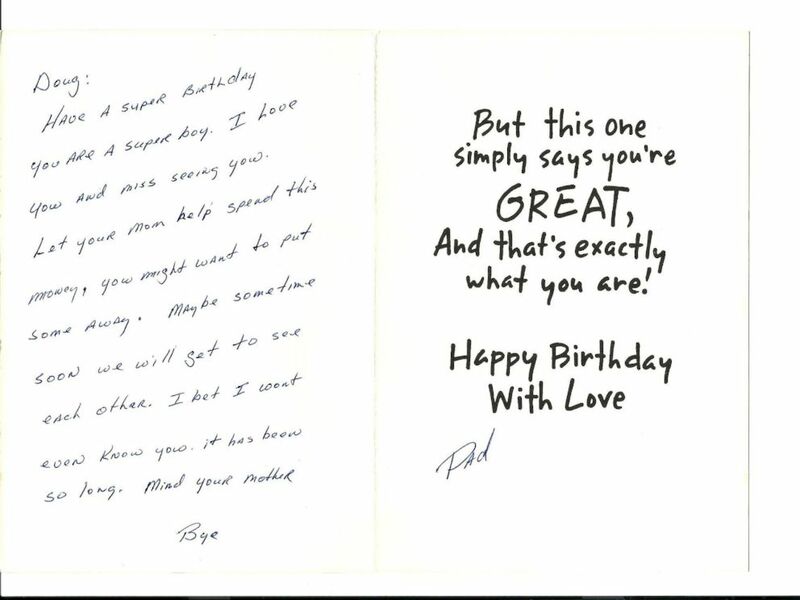 This birthday card from Richard Hoagland was the last words Doug Hoagland had from his father. Those words were the last they ever heard from Hoagland. And Iseler said police viewed her as a suspect in his disappearance. “They interrogated me over and over and over. They alluded a lot to the possibility that he was involved in some type of drug trafficking, which I had no clue,” Iseler said. Iseler said they lost the house and cars after he vanished. Her mother stepped in to help. “He devastated us. He left us with nothing, absolutely nothing. I was very broken,” she said. After 10 years, Hoagland was declared dead. Iseler eventually moved on and re-married. Then, just this past summer, Iseler received a voicemail from detective Anthony Cardillo of the Pasco County Sheriff’s Department in Florida. 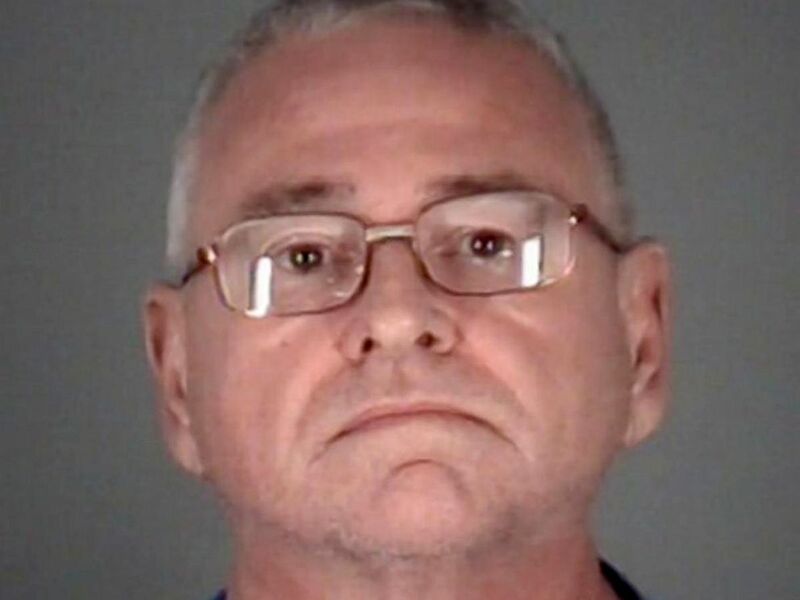 After he disappeared in 1993, police said Hoagland had fled to Florida, where he rented a room from Symansky’s father. Hoagland found Symansky’s death certificate and stole it, police said. 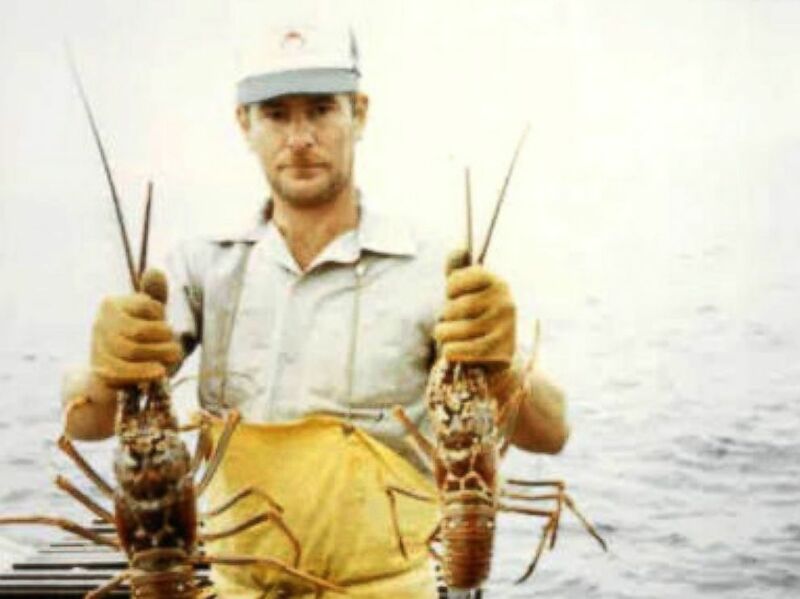 Richard Hoagland had been living as a man named Terry Symansky, who was a fisherman killed in a freak boating accident in 1991. Symansky is pictured here. According to Cardillo, Hoagland bought a house in Zephyrhills, Florida, and married a woman named Mary. The two even had a child together. “She said there was always questions, but he would always come up with a reason or an explanation,” Cardillo said. Hoagland might have gotten away with living under his new identity. However, this past summer, the real Terry Symansky’s family started looking into their family history, using Ancestry.com for a genealogy project. Through this research, the real Symansky’s nephew discovered that his uncle, who supposedly died in 1991, had gotten married two years after they buried him. After the Symansky family contacted police, Cardillo interviewed Hoagland. Cardillo said Hoagland’s unsuspecting new wife and son were blindsided by the revelation. Richard Hoagland is now in jail awaiting trial on charges that include identity fraud. “I believe he got caught up with the wrong people -- got carried away and over his head in something,” Matthew Hoagland said. “I have this ring. This is my dad's ring. That's it. I do wear it for the most part every day. But I think I wear it to remind me of a bad example,” said Matthew Hoagland. Watch ABC News' "20/20" on Friday, Oct. 28 at 10 p.m. ET.